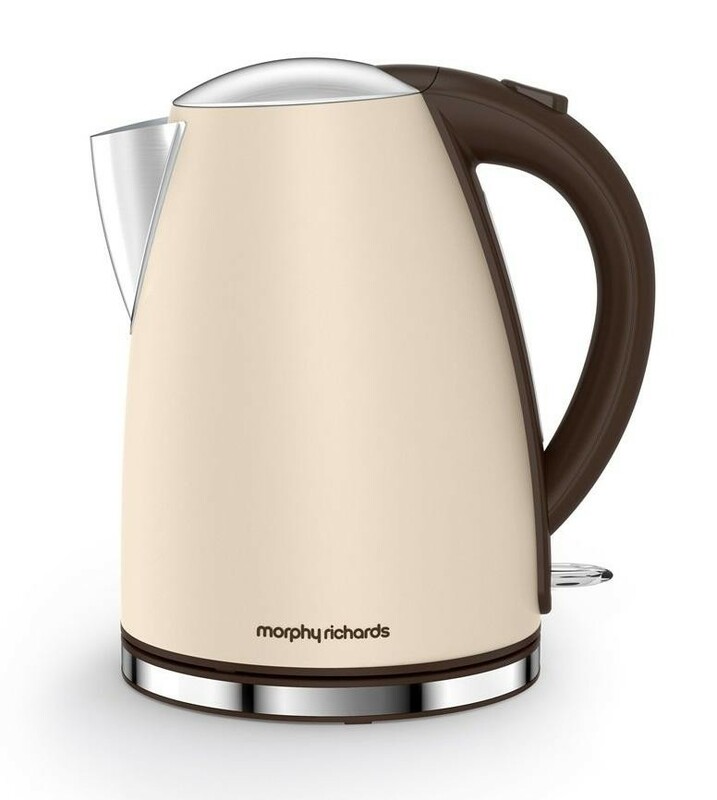 The Morphy Richards 103003 Accents Jug Kettle is a great kitchen appliance which allows you to quickly boil water for your thirst-quenching coffee or tasty snack. The 1.7 litre capacity provides up to 6 cups of hot water while the rapid boil feature quickly heats the water so you can enjoy your delicious drink in no time. The limescale filter ensures you only get the best tasting water in your cup and the 360 degree base makes the kettle easy to use for both left and right handed users. The boil dry protection automatically switches the kettle off when the water becomes too low to protect the kettle and the viewing window allows you to clearly see how much water is inside the kettle.